(Version française suit) This small beach belongs to McLaren Campground. 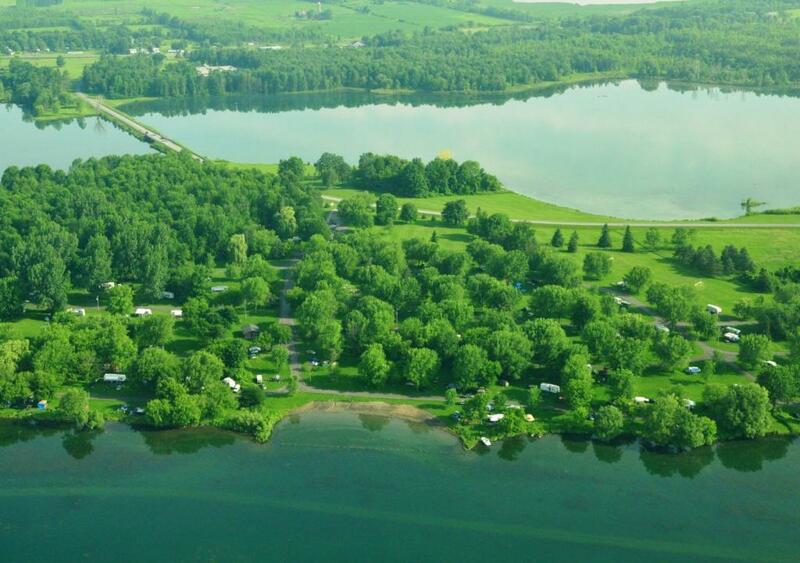 The campground offers many facilities such as: showers, washrooms, picnic area at Woodlands and Mille Roches beaches, a playground and a boat launch. Cette petite plage appartient au camping McLaren. Le camping dispose de nombreux équipements tels que: douches, toilettes, aire de pique-nique au plages Woodlands et Mille Roches, une aire de jeux et une rampe de mise à l'eau. Light rain in the morning and breezy in the evening. We have so many stories about the lost villages and the creation of the Seaway, the creation of the power damn. It’s just a lot of heritage, a lot of good memories and a lot of fun for cycling.